My thoughts on the popular, stricter version of the PALEO diet. Why it’s not for me, why I won’t be doing a Whole 30, and why I am not a fan of this dietary trend overall. Lately it seems like everyone and their mother is either just starting or just ending a Whole 30 ‘challenge’. Maybe it’s the proximity to the holidays (people want to get on a new diet plan to preempt the indulgences of the season?) or the fact that people just like trying the latest trend. But I have to admit, the more and more people I see jumping on the Whole 30 bandwagon and recapping their experiences the more I am turned off by the whole program. You all know my food philosophy, eat real, whole foods in moderation from ALL the food groups. It’s pretty simple, and it works for me. I feel like people’s concept of what constitutes a heathy diet has become to complicated in today’s society. Too many criteria, rules, restrictions, and considerations are being put on our diets. It all seems to be in an attempt to achieve the most perfect, pure diet….but frankly, I don’t think that’s possible. I am all for finding ‘what works for you’, but I don’t think we have to go to such extremes by cutting out whole food groups or constantly experimenting with the latest diet fad just because. Not only does the diet require that you cut out certain foods, but by the end of the challenge I find that a lot of people end up leaving those ‘off limits’ foods out of their diets when there is really no medical necessity to do so. Not to mention, most times people are cutting out foods that they ENJOY and that they don’t have problems with to begin with. For me personally, I love dairy, I love grains, I love legumes/beans, and I love being able to eat whatever fruits and veggies I like without restriction. All of these foods are healthy and FULL of great nutrition! They should be the least of your worries in terms of things to cut out or restrict. I know that the challenge is technically only 30 days, but from what I gather from people’s recaps, I get the sense that they are afraid to start eating Whole 30 unapproved foods again…like they feel the need to continue their streak or something. Big issue right there! I’ve never been a fan and much prefer seafood, turkey, and chicken….or ya know, plant-based protein! When doing Whole 30 you’re supposed to incorporate red meats and a lot of protein from fattier meat products. I don’t see an issue with this if you like those type of meats. But one thing I find strange is that a lot of bloggers I see doing the challenge don’t actually end up incorporating red meat like the diet calls for. They tend to stick with lower calorie, lean meats…so doesn’t that sort of defeat the purpose? It’s actions like this that make me think their motivations for doing the challenge to begin with are merely as a means to justify restriction. If you’re really doing the challenge whole heartedly, it seems weird to be so adamant about not eating a certain fruit while on the other hand not incorporating some of the main components of the program! Let’s face it, life is tough enough as it is. My mind is constantly whirring around with a million thoughts. If I had to think about what foods I am ‘allowed’ or ‘not allowed’ to eat in addition to all of that, I think I’d go nuts (or even MORE nuts). And when you take into consideration social situations, going out to eat, special occasions, and the like…there would just be too much pre-planning, analyzing, and considering for me to do. We all have our quirks and different eating habits, but when a diet comes with as many restrictions as Whole 30 I feel like some of the enjoyment of eating and life in general is impeded upon. Plus, I like the idea of being able to enjoy foods from all areas of the food spectrum. To me it’s about balance….sometimes I like a protein filled baked good and other times I am all for a slice of my mom’s homemade pie. Sometimes I want kelp noodles and other times I want real whole wheat pasta. Sometimes I want a vegetarian alternative and other times I want the real, meat filled dish. My tastes and cravings change everyday, and I like being able to satisfy them at a moments notice without over thinking it. I just don’t feel the need to experiment with my diet right now. I just did a ‘diet reset‘ and I am still getting back to normal after that. I eat real, whole foods from every food group and I feel great (most of the time). It’s true that some people do have real issues with certain foods (I am slowly finding out what foods don’t sit well with me), but if you’re not medically diagnosed (hence all the tests I’ve been getting done lately) and are other wise not experiencing issues with certain foods, why cut them out? Just to try it? Why?! I see more and more people cutting out foods that they actually enjoy just for the sake of being trendy or because they read an article that told them to! For everything in Whole 30 that makes negative claims against the ‘unapproved’ foods, you can find a million and one other pieces of research that say the exact opposite. You’ve all seen my snack plates….they’re MEGA! Not only do I NEED to eat between meals, but I like to. It keeps my blood sugar level and makes me an overall happier person. Whole 30 advocates getting all your nutrients in at 3 main meals and not snacking in between them. I don’t know about you, but this would never work for me. My meals are well-balanced and HUGE in their own right, but I go through those nutrients pretty darn fast. Snacking is a necessity, in my opinion. It’s not something I think people should fear or feel guilty about doing. You should listen to your body and feed it when it needs nourishment, not according to certain scheduled eating times or a certain amount of meals. Often times, I do carry this mindset in a lot of areas in my life and it’s actually something I’m trying to work on. So why would I do a challenge that forces me to adopt stringent rules in regards to my diet? If I’m going to ‘challenge’ myself with something, I want to go all in and give it my best. But frankly the idea of putting my diet to the test doesn’t appeal to me. I’d rather challenge myself physically or mentally or work on self-improvement and betterment than seeing how strict I can be with my food choices. These are just some of the reasons that came into my mind when thinking about the Whole 30 program and whether I would ever do something like that. As I’ve said before, everyone is different. Maybe this type of eating can work for some of you! I don’t personally agree with the ‘science’ behind it and don’t see it as nutritionally superior to other ways of eating. But hey, we all have our own opinions! And these are just my opinions right now. I don’t know what the future holds and what direction my health journey will take, but for the present this is my perspective. I think they key thing when considering diet is the intention behind your choices….are you doing things for health and real medical reasons or just to be trendy and jump on the latest fad? Do you really feel the need to cut out certain food groups or are you just changing up our diet as an excuse to restrict? Diets in general can be a slippery slope so it is important to be mindful of our choices and to make sure our number one priority is balance, treating our bodies with kindness, and fueling ourselves in the most appropriate way for our bodies. As I mentioned above, I always come back to these simple ideals…eat whole, real foods from all the food groups in moderation. And ya know what? Don’t think so much. We all get so caught up in our heads and with over-analyzing that we forget that simplicity really is best. Eat with the carefree abandon you had as a kid. Eat when you’re hungry and eat for nourishment. That’s it. Have you done or considered doing Whole 30? What current food trends or fads do you disagree with? What are your thoughts on changing your diet ‘just because’? Great post on why Paleo/Whole 30 or any diet in general is not for everyone. I agree with you-I have a hard time restricting or following rules. Food shouldn’t be stressful! Seriously, Kaila, I couldn’t agree with you more! My husband and I were just talking about the Whole30 challenge the other day and how we thought it was so silly. I feel the same way about pretty much any diet trend out there. Personally – I believe that a diet consisting primarily of whole, real, nutritious foods is the best bet. I also have never understood why eliminating certain fruits and legumes from your diet is necessary when they are so good for you! It’s really nice to see that there are other folks out there who share the same opinion as I do! I agree with you on so many of these points, particularly flexibility and snack queen! I don’t like restricting myself to the point where my relationship with food becomes a mental battle or consuming (I’ve been down that road). My current situation with food is trying to figure out how much to eat when training for endurance events. I struggle with the boundary of how much is too much, how much is too little. I’ve been told that I need to eat a lot of calories on high intensity days, but it’s actually not that easy to do! Good for you for working on figuring out how to fuel your workouts right! It’s definitely a life long process but I don’t think it needs to involve the high level of restriction that this type of diet entails! This is a great post! I’ve also noticed so many people posting about Whole30 and I agree, I couldn’t do it. I can understand why someone might cut out processed foods or alcohol if they were trying to kickstart more healthy habits, but the rest of the rules seem somewhat arbitrary. Why cut out legumes or whole grains? Not to mention many of the people posting about Whole30 aren’t doing it at the start of a healthy lifestyle, but already eat healthy and/or potentially already restrictive diets. I like your simple food ideas best! 🙂 Thanks so much for the insightful post! Exactly! I can see eliminating certain foods from your diet…but why WHOLE food groups!? Thanks for commenting! You already know how much I agree with this, I’m sure. I’ve never understood the craze and I never will. To be honest, it just sounds miserable. Life is too short to deprive ourselves of so much. Thanks Em! I can always count on you to be able to relate!! There is SO much science behind the Paleo Diet! Have you actually READ any of the books by leading doctors about it? No one is telling you to eat RED meat. No one is saying you cannot have ‘treats’. There are no nutrients in grains and grasses that you don’t get by eating other foods. I did my first Whole30 (which is a very strict version of Paleo) over a year ago – have done 2 more since, and basically found it to be very satisfying and energy-giving. I sleep better and sounder, and have a ton of energy when I eat strictly Paleo. I think that everyone has to find what works for them individually, and if you think it isn’t for you, great… and you, along with everyone else, is entitled to your opinion…. but opinion is not facts and you have made some factual errors here. And, in my opinion, this is not a craze. It is a way of life and isn’t going away any time soon. I agree. It’s probably the farthest thing from a “fad diet” possible. I haven’t read the book that goes along with the diet but I have done a lot of research and looking into what it involves and promotes. I’m not exactly sure what was inaccurate about what I wrote since it was mostly my own opinion. I’m not saying the diet FORCES you to eat red meat…but it is suggested. And I see nothing in the program that allows for treats as you say. I am happy you were able to find satisfaction and comfort in this program. Like I said above, it could definitely work for some people! I’m just not one of those people! Thanks for your comment! But putting the word “science” in quotations? That just makes all kinds of assumptions. There IS science, and more and more coming out every day. And the whole “no treats” thing is just like ANY elimination diet that MANY MANY registered dietitians and nutritionists use to diagnose food allergies and intolerances. The “Whole 30” is so-called because it is meant to be just for 30 days. Then comes the re-introduction phase of one food at at time so you can identify which you tolerate just fine and which you do not respond well to. I guess why I question the science is because there are only a few (or even less than that!) studies that the book references. And like I said in the post…for every study and piece of research that is PRO whole 30 you can find things that are against it. It’s just about choosing what you think is right and what you choose to believe. Also, I understand there is a reintroduction phase…but the people I am referring to that seem to be using Whole 30 in the wrong way completely abstain from this part of the program and just keep on with the restriction of food groups. Okay, that makes sense. Science is ever-changing (was it Einstein who said that he gave the same test every year but the answers always changed? ), so studies (which are limited in validity, whether observational or clinical) will always have opposition. On references–depends what book you’re reading. Check out “The Paleo Approach” – a newer one. It’s literally a science textbook, and has pages and pages of references. If your dislike for the whole30 is in the WAY it is used by some media folks, then that’s fine, and I can get on board with that. However, you can’t blame the system (which, at its core, is nothing more than a standard elimination program), for the way some people choose to use it. There is value in knowing how your body reacts to food, and even when people think they’re healthy (as I once thought I was), they may not know that what they THOUGHT was normal actually wasn’t at all; they could feel a lot better than they realized. That’s all. No problem! Thank YOU for bringing another perspective to the table! Thanks for the book suggestion too….I’ll have to look into that! I love learning about all different diet approaches and what different things work for different people. And you got my perspective right in saying that my biggest issue with the diet is how some people approach and use it. A lot of what I’ve seen is a warped way of doing it and they don’t even really follow it for the reasons it is meant to be or in the way it is supposed to be. Like you said, it’s an elimination diet meant to eventually culminate with the reintroduction of foods. But if you’re totally skipping that step and just maintaining the restriction than what’s the point, right?! Thanks again for contributing to the conversation! The only good thing I see coming out of the Whole30 is that it does emphasize real, whole foods over processed stuff! It’s great for people to move towards eating actual, nourishing food instead of worrying about calories and numbers in more processed foods. But the Whole30 mindset is incredibly restrictive. Legumes and fruit in particularly are extremely healthy, and the reasoning behind cutting some of them out seems pretty arbitrary to me. I’ve also seen a similar thing with people trying out the Whole30–saying they don’t like red meat and they’re not sure they want to include it, and in some cases they actually do, and to me it just feels forced. No one should feel they have to eat a certain food just to fit in with a certain dietary label! Personally, I just stick with nutrient-dense foods as close to nature as possible, and always plant-based. I tried the whole raw vegan thing, and while it felt great, I realized it was about as restrictive as the Whole30, and there was no real benefit to me cutting out certain foods just because they weren’t raw! I agree that the only good aspect is that it focuses on (some) whole foods. People who eat poorly would definitely notice a positive change if they switched their diet to something like this. But like you said, I think the mindset is very restrictive and is just not the healthiest, or most sustainable approach to eating. I am so happy you were able to realize the restrictive nature of the high raw diet as well! That is so awesome! I agree! It definitely wouldn’t sustainable for me long term! Personally I can’t do Whole 30. Cutting out all those food groups would totally drive me crazy and probably lead to some serious binging because of all the deprivation. I’ve been reading a lot of posts about this diet lately and I’m glad that I finally found one I can relate to! Glad you could relate, Giselle!! Thanks for stopping by! everyone responds to food differently. I couldn’t do whole30 either but more props to those who benefit from it. WHatever makes them feel good, yes? Yes definitely! We’re all different! Agreed – it was beneficial for me, but I wouldn’t recommend it for just anyone….especially if they’re looking at it as a diet. That’s definitely not the point of it. LOVE this post. I did W30 a couple years back, but when a friend wanted me to do it with her again, it brought up a lot of issues with my disordered/restrictive eating past. It is just not for me- especially since I don’t have any food allergies! I think for those trying to determine specific food intolerances, a limited ingredient diet (like for cats and dogs!) is good so you can determine the allergen. Otherwise, it’s another fad I won’t be doing again. Give me all the Reese’s!! I’ve never commented on a blog before (and I read a lot!) but I just wanted to say THANK YOU for this!!!!! I have been seeing so much lately about Whole 30 and was starting to feel like eating from every food group was “wrong” – that it wasn’t normal to eat without any restrictions. I totally respect people who cut things out because of allergies or sensitivities, but you really highlighted all the reasons Whole 30 is NOT for me either! Thank you so much for sharing this and being so honest! THANK YOU so much for commenting! I am happy you could relate to this! Obviously coming from the perspective of an ethical vegan, I am never going to view Whole 30 with anything but disdain. Even if I try to look at things objectively, the amount of meat people seem to get through still seems bad for animals, bad for the environment, and just selfish in terms of consumption. I think regardless of my beliefs, that much is clear. I cannot stand and vehemently disagree with the ‘whatever makes them feel good is okay’ approach when it comes to bloggers. How do we know that they are being honest about how they actually feel? What about the influence they might have on potentially vulnerable readers who will just copy everything they do…and the latest round of Whole 30 ‘converts’ all (bar one) have suffered/still suffer from eating disorders, an inherent part of which is deception. I don’t like any kind of backlash or pressure on others to just nod along and agree with what everyone else is doing, and I’m glad you brought this topic up. I think the issue at hand is more than just the restrictive nature of Whole 30 (I’d never do it, I never want to do it, the idea of eating that amount of meat sickens me and stuffing myself to feel full in only three meals would wreck my digestive system), and relates to the people choosing to do it. To the person above suggesting your post is not accurate, I think it is accurate and you weren’t saying people MUST eat red meat on Whole 30, but it is an option open to them, and when people are choosing not to take it but instead restricting further within an already narrow programme, it’s obvious nothing of what they are doing is about ‘health’ at all. If you’re going to do Whole 30 and also restrict to low-calorie, safe foods, then you are left with eating essentially vegetables and white meat and/or fish. I think Whole 30 might not be a fad for everyone, but the blog world is notorious for people acting like brainless sheep and just following the crowd until a new diet wonder comes along – remember when everyone and their friend was vegan, and cared sooooo much about the animals? Yeah, vegan and Whole 30 are just two sides of the same coin for a certain type of blogger – they ditched veganism pretty damn quickly when it wasn’t ‘cool’ any more and started eating grotesque quantities of the animals they supposedly cared about. I really have nothing to add here Jess. You hit the nail on the head as always and I agree with every thing you’ve said. And I think you’re right in pointing out that a lot of people that have jumped on this bandwagon lately come from disordered pasts (or presents). That’s one of the main factors that lead me to believe the diet it being followed for unhealthy reasons. Some people may definitely be able to follow it sensibly if it works for them…but others I just don’t think can help using it for restriction. Jess, I came here to say almost exactly what you just said, especially with regard to eating disorders and self-proclaimed ‘wellness’ bloggers jumping on every bandwagon du jour. I suspect the same is true for people eating ‘proper’ food. I agree that if you’ve had a poor diet, then perhaps doing something like W30 might be useful if it teaches you about a healthy, balanced way of eating but the reality seems to be that it doesn’t. It teaches you to demonise certain foods. And as we know, it only takes two weeks to form a habit, so what happens when you do this for a month? I don’t care what any of the proponents of Whole 30 or paleo say, the bottom line is that focusing on such a didactic way of eating is not good for anyone. There’s quite a bit of evidence to show that some followers of W30 are merely swapping one eating disorder for another. I know of two such individuals, and it’s very, very sad. Bottom line though, no marketer or woo-peddler ever made money from telling folk they should eat a wide variety of foods, eat sensibly, and have a balanced diet… hence we now have vulnerable and/or desperate people falling for potentially dangerous marketing hype and food fashions. At the end of the day, I have a huge suspicion that most of the people who defend Whole 30 and its ilk, only do so because they don’t want to look stupid for following a fad. They will tell you till they’re blue in the face that it’s ‘scientifically’ proven, and throw around tons of anecdotal ‘evidence’ but the fact remains that there actually is no hard science to prove that it’s good for you. Same with paleo. In fact, it’s quite the opposite. But those who’ve bought into will never see sense because it’s easier to have someone else to tell them how to live their lives than to work it out for themselves. And let’s be honest, if you’ve spent money on something, do you really want to believe someone who comes along, and tells you that you’ve bought the emperor’s new clothes? Of course, not; you’ll very defensively recite all the marketing spiel you yourself fell for in an attempt to justify it. And because you cannot admit you made a mistake, you’ll try convince *yourself* and others that you’re not gullible and foolish. Really interesting! ‘I don’t like being an all or nothing person’ <- this is so true for me too. It's the main reason I haven't bothered with these kind of challenges. I do generally eat in a fairly Whole30-ish way anyway, because that's what makes me feel best, and I absolutely love all the food I eat, and don't ever feel deprived. That said, I eat out a lot and there's no way I can keep to a consistent 'diet' regime, without just feeling… sad! So I don't. But I do think there are plenty of bloggers who are using Whole30 in a sensible way – I guess it all comes back to the fact that we're all very different! Thanks for the comment, Cat! I agree with what you said about feeling the need to stick to a consistent plan! I need flexibility and the ability to be spontaneous in my life! Yes! I totally agree that the reason people may “feel better” is because they have stopped eating processed foods! I really hate all of these fad diet programs and this is what the Whole 30 is. A fad diet. There is no reason to stop eating quinoa or chickpeas! Why can’t people just get it in their heads that they just need to eat real whole foods end of story. These types of diets just lead to the media putting ideas in peoples heads that gluten-free is a fad and everyone should do it..etc. I have Celiac and that is why I can’t eat gluten. Thank you! Your case is exactly what I mean when I say that food should only be eliminated if it’s medically necessary! People like you have a REAL reason to eat a certain way! I definitely think the media, bloggers, etc. have an influence on how much popularity fads like this gain! I’m surprised that, as someone who suffers greatly from eating something that many others may tolerate just fine, you’d make the assumption that quinoa and chickpeas are completely harmless to everyone else. Just like you can’t eat gluten, there may be people who are intolerant of quinoa or chickpeas. Everyone is different and the point of a “Whole 30” or ANY elimination diet is simply to discover which foods a person reacts negatively to. Further, these and other legumes may be real, whole, foods, but they can NOT be eaten in their natural state! They can be toxic if raw; they’re not the same thing as a fruit or vegetable eaten from the ground. “Creates ‘off limit’ foods” while this is true, I walked away with such a great appreciation of foods I’d never given the light of day: braised cabbage? Oh my goodness, so good. Ghee? Fantastic. “Leaves no room for treats” – again, true. However, the Whole30 was such a wake-up call for just how much I rely on paleo treats for nutrients. It taught me to either focus more on larger meals, or eat more nutrient dense mini-meals. For example, snacks because shredded chicken and broccoli. Snacks! “I don’t eat red meat” – You don’t have to. There are plenty of other meat sources of protein to chose from! Poultry! Pork! Seafood! “I AM A SNACK QUEEN” – I was, and am, too. As hinted at before, doing the whole30 really teaches you the importance of balancing the macros of your meals. Eventually, snacks become unnecessary. I found that my desire to snack during the whole30 was more out of habit than need. “(Wo)Man can’t exist on sweet potatoes and coconut oil alone” – Word. Variety is key. If you’re bored on your whole30, you’re doing it wrong! “I don’t like being an all or nothing person” – This,…. I don’t have a counter-argument for. The only think that sucked about the whole30 was being told I couldn’t have something. Before when paleo, I never wanted the donuts that someone would leave in the break room. During the Whole30? Well, they were on the ban list so obviously I wanted to rebel! THANK YOU for such an insightful, well thought out comment! This is exactly the type of discussion I was hoping to open up with people! I love hearing the opposite side of the argument and it seems like you really had a good experience with the program. As you know, it’s not something that would work for me, but I really appreciate you taking the time to go through the reasons it DOES work for you! I think in order to understand whole30 you need to read the book it starts with food. This is the first flaw I see with people who naysay it. As the program is laid out in the book, to me it did make sense. Whole 30 changed my entire body. I felt better, slept better and lost a TON of belly weight that hadn’t ever moved before this program. I get that it sounds crazy and trust me I also HATE coconut oil which made the process harder for me. But just like anything for some people it’s the greatest thing ever. I discovered in my first program that I eat TONS of crap, and most of the food I eat has sugar added without me knowing it. Seriously I found table salt at my house that had sugar in it. It made sense to me from the stand point that so much of our food now is processed that even taking 30 days to cut it out of your system showed me just how crazy it is. I believe that sugar is a drug, and it is addictive. I went through sugar detox during the program and it made me less mentally foggy. I get if it isn’t for you thats fine but for me it was a game changer. I’m a working mom with 2 kids so to find something that made that strong of a change in my entire world in 30 days made me a believer. I still eat Whole30 80/20. I’ve tried once unsucsessfully to redo my complete 30 day complete whole 30 with no breaks haven’t been able to do it. It takes a ton of planning and is super hard when traveling. I will do another round in April once the weather breaks and hopefully can stick to my guns. Although I haven’t read the book I have done a ton of research into the diet and all of its tenants. So I feel like I have a pretty good handle on what it’s all about. With that said, you’re right, I probably wouldn’t be able to really know what its like to be on it unless I tried it for myself. But as I’ve laid out above…it just wouldn’t work for me! And that’s okay! I’m happy you were able to find a happy balance and some positive effects from it! It just goes to show you that everyone’s diet and nutrition needs are different! Thanks for a super post. I alway go by the rules everything in moderation concerning food. A little of everything to eat can’t hurt, hopefully. great post, Kaila! i probably won’t ever try whole30.. just because i would go insane for 30 days. i love my grains & legumes and i like to have the freedom to eat whatever i’m craving. i also would never be able to sustain that, especially since i still eat on campus. This is definitely an interesting topic for discussion. I’ve wavered back and forth on the idea of a Whole30. I know a lot of people have talked about the benefits that they’ve seen from the program, which makes me curious. But at the same point, I have to wonder if the level of restriction that you reach with Whole 30 is really necessary – I mean, cutting out sugar, alcohol and processed goods can only do good things for your health, right? And for people that do actually have a grain or dairy sensitivity that may have gone undetected, I can only imagine how awesome they would feel eliminating that stuff from their diet. But cutting out so much food and having so many damn rules around not only what you can eat, but meal timing (no snacking) and creating (no paleo-ified treats) would get really old for me, really quickly. I’m reading the book right now (It Starts With Food) and quite honestly, I’m a little skeptical. There’s a lot of claims without a lot of scientific backing. When discussing their reasoning for eliminating grains from the diet, they mention ‘one recent meta-analysis.’ So one study. I’m sorry, but I need more proof than that. They admit in the book that this ‘diet’ is meant to be a trial – the point is to start re-introducing these foods to see which ones are causing issues for people, if any. But I think you hit the nail on the head – I lot of people seem to leave out that part, and think that Whole30 is meant to be a lifestyle…which I’m not sure if that’s how it’s meant to be viewed. Also, the ‘success stories’ throughout the book I’d argue can be explained by the elimination of processed food, alcohol, and the focus on ‘real food’. People that lose tons of weight, stop having to take heart medication, lower their cholesterol…I think it can all be done without eliminating so much from their diet. So to sum up my really long comment…I don’t think it’s for me either 😉 But, to each their own – if someone really feels that this is the best thing for them (without it necessarily coming from a place of restriction, which I do agree can be the case for some) all the power to them. LOVE THIS COMMENT SAM!! Thank you so much for all this insight! I especially like the info you provided about the book! Although I’ve done a lot of research on the diet itself I have not read the actual book. But I am not surprised to hear that there isn’t a lot of research and scientific backing cited. And I agree with you about the real reasons behind the ‘success stories’. Anyone who changes their diet drastically and cuts out a ton of food groups is bound to lose weight and ‘feel’ better. But to feel you best I don’t think it’s necessary to go to such extremes! Agreed. But they also say that you can add grains, dairy, legumes, etc back in, but just because you’re not having symptoms of damage doesn’t mean damage isn’t being done. They also say be weary and take research showing the opposite of the Whole 30 with a grain of salt, and they rely more on anecdotal evidence than scientific. Sorry, but it sounds like their “30 days” is meant to be your lifestyle. I’m a believer that anything you can’t maintain long term, probably isn’t healthy. If it cuts you off socially, then its probably not long term. I couldn’t go forever without treats thats for sure. YES YES YES! Especially to the cutting you off socially! That’s my biggest gripe with a lot of these diet trends! They totally hinder peoples ability to be flexible and spontaneous! I am 100% on board with you. I get so tired of seeing people jump on to trendy “diets.” There’s a reason a lot of these diets have you supplement because they deprive you of vital nutrients. Exactly!!! Thanks for commenting Kelsey! Just found your blog from Claire at Fitting It All In. This was an interesting post! I did Whole30 in February, and I have to say, it changed my life for the better. I’ve suffered from chronic headaches my entire life, and after 1 week on Whole30, they were gone. Yes it’s super restrictive, but it isn’t intended to be a long term lifestyle. It’s only 30 days and it’s intended to be a nutritional reset to help you figure out how your body reacts to certain foods. There actually is a ton of science behind it – I’d recommend checking out the book “It Starts With Food” by Dallas and Melissa Hartwig. That said, I understand that it probably isn’t for everyone, but I sure am glad I gave it a try! I think if you look at the diet in the way you did, as a phase and not a long term lifestyle, than it can be useful. However, a lot of people I’ve seen recently doing the diet are not treating it this way and instead are maintaining the restriction far after the 30 days are up. That’s what leads me to think their intentions and motivations may be from an unhealthy place. And that is just wrong on their end. The Whole30 creators even say that it is NOT supposed to be long term. It’s simply serving as a reset. Amen! Loved all of this, especially the avoiding all or nothing part. It’s easy for me to fall into that trap but life is always better for me when it is more balanced. All or nothing means an eventual breakdown. Love what you said here Traci! It’s so true, all or nothing is not sustainable! I agree, I’m not a fan of the whole 30 or paleo… More and more info has come out on why the paleo diet is bad for humans, maybe not entirely bad but not the health star people tried to make it out to be, I saw the whole30 pop up all over the place and decided to look into and was completely turned off by all the rules. First, I don’t eat red meat or poultry and that’s a major part of it. Second, I’m fructose intolerant so I have to limit certain veggies and other foods I have to real labels and my sweeteners are already very limited like no honey or molasses… So just not for Mel I love my nonfat dairy (intolerant to milk fat) and I know it doesn’t bother my stomach like larger amounts of nuts and bread do so why would I cut out one of the few things that make me feel fine and taste good. I know eventually I need to do the elimination diet to heal my gut and pinpoint everything that bothers me but as a college student with an expensive meal plan I have to pay for and Division 1 training I cannot do that at this point in my life. I need variety and that includes fruits and grains and dairy and most definitely snacks since we have such long workouts. I think everyone is different and it really just doesn’t work for some people. After reading It Starts With Food, I gave Whole30 a try.. why, because I was having joint inflammation, pancreatic issues, chronic kidney infections and I’m hypoglycemic on type of it, but NO dr could find the underlying issue. I ate pretty well beforehand and went to the gym, trying to lose the left weight I had gained from pregnancy and postpartum depression, but I was still feeling like crap pretty much everyday. With the Whole30, I found I can’t have gluten, and certain foods like beans were causing the inflammation in my joints. I think if you’re a generally healthy person and don’t experience a lot of pain and problems that doctors cannot find and reason for, you probably wouldn’t look at the Whole30 as appealing or something you could do at all. In my opinion, the Whole30 is not a “get thin quick” scheme. It changed my relationship with food and made me also realize I was an emotional eater. For me, it did more than just help me lose weight. Really though, I think reading It Starts With Food would give you a better idea of WHY Whole30 even exists. It’s not a “fad diet” or a diet at all.. it’s a life changer. Thank you for sharing your story Lacey! I think yours is a prime example of a way that the diet can be used in the proper way and for it’s intended purposes. I tried Whole30 and made it to day 9. The no snacking about killed me. I love a good snack mid morning. I’m also apparently a real fan of bread. Parting with beans and noodles didn’t kill me but I missed toast with my breakfast. It was just too restrictive. BREAD!!!! I am a major bread lover too! Especially toast! I would surely miss that if I cut out grains! Good for you for listening to your body and stopping the program when you realized it wasn’t for you! If it works for some people, GREAT! But the idea of giving up something like cheese makes me cranky and not willing to even try this, much less consider it, a second time. I couldn’t do it because a) I don’t eat meat, period, b) I don’t like rote meals–they only lead me to binge later on, and b) I couldn’t give up my daily glass of vino! It’s my one indulgence in an otherwise VERY healthy diet, and I don’t see the point in cutting it out just to stick to a certain “plan”. This is an awesome and great post. I eat the things that work for my body and not against my body. Growing up with a full garden in my family, I love all foods that can be grown from the earth. I detest seafood, so I don’t eat it. Every few years I try a new seafood to see if my tastes have changed. They never have, but I try it anyway to make sure I’m not making that up. I don’t particularly care for red meat, so I very rarely eat it. My body doesn’t care for white sugar, so I use other kinds of sweetener – agave mostly and brown sugars. No artificial substitutes. On occasion I DO eat white sugar – but mostly NOT. I like challenges, and I love making smoothies at home and add them to my diet – but I don’t ever use them ONLY as my dietary sustenance. The one thing I can agree on here is that everyone is indeed different. Many people are struggling with food sensitivities, allergies, digestive problems, mal-absorption issues, and the list goes on. Eliminating certain things, at least for a certain amount of time, is often necessary in order to promote healing and get our bodies back on track. My whole 30/paleo experience has tremendously helped me gain my health back after struggling with many of the issues I mentioned above. I believe it is a powerful healing protocol and that it shouldn’t be frowned upon by people who have different opinions on what is best to eat or not eat. Whole 30 isn’t about focusing on restriction, its about working to gain more optimal health to those who are struggling, by way of real foods and a healing diet. I agree that food shouldn’t Be stressful and that we deserve a treat every now and the . However I did complete a whole 30 in January and I found I was less stressed about food and felt amazing. This was my second attempt at it and I’ll admit that you have to be in the right mindset. You can’t go into it feeling deprived and negative about it. It’s important to remember it’s only 30 days. They’re not saying you can never snack again….you can never eat grains again….it’s meant to balance your body so you can determine what works best for you. With me it definitely helped my relationship with food, as opposed to make me more stressed like you would think. I gained weight on it because before i did it i was restricting and in a constant battle with food. It helped me learn what foods I need to nourish my body with. Everyone’s different you have a lot of good points here but the key thing is it that you’re not meant to do whole 30 forever..it’s only 30 days. I have completed a Whole30 and I think it was a great thing. It’s not meant to be a lifetime sustainable diet. It is meant to be a restart and/or a great way to find out what effects certain foods are having on your body. It’s only 30 days! I’ve loved some things I’ve learned through that process and will continue with a lot of the things I’ve learned. If nothing else, it has shown my family that what I’m talking about when I talk about the effects food has on us is a real thing. I’m really not a poor eater, but my family has seen changes in my energy level, sleeping patterns, and HUGE improvements in lab results. I’m happy with my experience. This is excellent advice. I’m not a huge fan of diets, especially ones that are very restrictive. Coming by from The SiTSGirls. So glad you wrote this post! I did CrossFit last summer for the first time (and LOVED it by the way) but it was a thirty day challenge that also wanted you to incorporate the paleo diet (Whole 30 basically). I was super excited about it at first because I was diagnosed with lactose intolerance AND a gluten allergy in high school and thought I’d have no trouble taking on the challenge! After a week I wanted my (gluten free) bread and oatmeal back, realized I really hate red meat and bacon, and was sick of eggs and sweet potatoes for breakfast every single day. I really do think the Whole 30 is another fad that’s only passed off as healthy because you’re not *supposed* to restrict but MOST people that do it end up restricting a lot. Great insight Kaila! Thank you so much Tailar!! Love the spelling of your name BTW. I am so happy you could relate to my thoughts on the diet! I haven’t considered it just for this exact reason! I hate being strict with myself. Especially with the huge occurrence of eating disorders, the last thing I would want to do is begin to fear certain foods. Everything in moderation. I’m happy you were able to find a diet that works for you! I think the biggest problem I have with Whole 30 is that a lot of people I’ve seen do it use it for restriction with no plan of ever reintroducing foods. They just use it to restrict food groups and become more rigid with their diets. If used the right way, I am sure it can be very helpful! But that’s the thing – people who aren’t using it as an elimination diet/reset and just keep doing it indefinitely AREN’T doing it the way the creators of the plan advise. That’s not a problem with the Whole30, it’s a problem with the people who aren’t doing it in a healthy way. I truly NEEDED to read this today. Thank you! I already know which foods I’m allergic/sensitive to so I don’t “need” the Whole 30. I do need to avoid several of the foods eliminated but only because I already have those issues. I don’t need to do this to figure that out. I also don’t want to feel guilty about food. That’s not healthy. So rather than starting Whole 30 today, I’m going to avoid things that are not healthy but occasionally I’m eating cheese on my salad and I’m not feeling bad about it. It’s cheese, not cocaine. May I ask what your triggers were? I too suffer with pain and am in the midst of a food trial. How long did it take to be pain free? THANK YOU THANK YOU THANK YOU. I’m so glad you wrote this and I wholeheartedly agree. People supposedly do Whole30 for health reasons and I do like that it is built around whole foods, but seriously, unless you are having real health issues that could be linked to your diet, there is no reason to arbitrarily cut out food groups. Just listen to your body! You don’t need a 30-day cleanse to know if dairy makes you queasy. And I agree that Whole30 fosters an unhealthy relationship with food by demonizing certain foods (especially things like peanuts and brown rice that have tons of nutrients!). I am not going to waste my willpower trying not to eat my mom’s delicious hamburgers topped with chipotle mayo on a nutritionally devoid white bun. I have better things to focus my energy on. I can eat naughty things once in awhile and still be healthy overall. I love that you figured out what worked for you. Some people do have bad reactions to dairy and gluten, but that doesn’t mean EVERYONE should cut it out because it MIGHT make them feel better. The best diet is one that leaves you feeling fulfilled, happy, healthy and high functioning. That is different for everyone. People should focus on how food makes their bodies feel instead of jumping on these cleanses that keep popping up. Couldn’t agree more with everything you’ve written here! Glad you could relate to my perspective in this post! Thanks for the comment. Well, I just re-read this entire post and every single comment and just have to say again thank you, thank you, thank you for addressing the topic in the way you did. I think you approached every aspect of the diet from an honest standpoint and backed up your opinion with well-researched information. As always, love your posts! And I think it goes without saying that I agree 1,000%. From someone who has spent years letting food “rules” consume them and fallen victim to one-too-many diet trends, it’s not worth it. There is no magical recipe that works for everyone and eliminating foods (not to mention entire food groups) has never, ever worked for me. Like you said, it’s especially dangerous when it’s someone who has dealt with disordered eating in the past– it’s like welcoming that obsessive lifestyle back in with open arms. Thank YOU for reading it! I am so happy you could relate and agree. I know this diet can be a touchy subject for some, but I honestly think it does more harm than good. It may work for some people…but it just wouldn’t work for me! I love this. We need more people advocating simple, sustainable, moderate, enjoyable approaches to health. Thank you for this post. It drives me crazy that Whole 30 is so popular. I believe it can be very damaging. I’m glad you enjoyed it! Thank you! Excellent post! I’ve done a Whole30 and I feel the same way! Thanks for not being afraid to speak honestly about it, It seems few people do, even though they agree. Thank you, thank you!! So glad you read my post and could relate!! Thank YOU! One of the things that turned me off the most about Whole30 was not being able to share a meal with friends unless THEY cooked it. They didn’t want to come over to eat. They didn’t want to meet for breakfast. How much socializing is done over food? “Well we could meet at the gym!” No. A great friend of mine, whom I love deeply, refused to take a macaroon from my Aunt, who is from out of the country and is EXTREMELY hurt when people don’t eat her food. I’m hoping this fad will end soon, and we’ll be seeing all the books on garage sale tables. YES! I can relate to everything you said so much! Strict diets like Whole 30 take the enjoyment out of food…and LIFE. Kaila, Thank you for writing this. 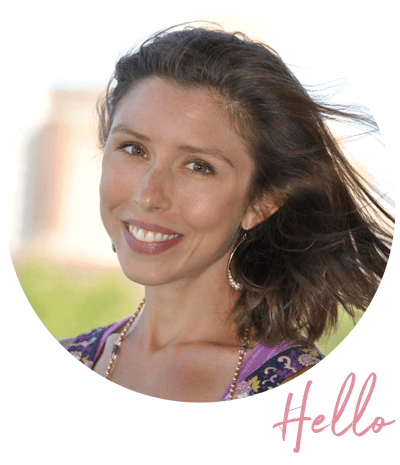 I am a Chinese Medicine practitioner and holistic nutritionist, and I have been coming head-to-head in the nutrition realm lately with Naturopaths, who are prescribing the Whole 30 like its going out of style. I completely agree with your comment, that- when we cut sugar and processed foods and alcohol that we are going to feel better and have more energy. Whole grains provide structure for the body, and they give us comfort–I have experimented- just noticing how I feel when I don’t have a balanced plate – no grain, and it is a deeply unsettling feeling. I always want to eat more, an I crave sugar when I’m done with my meal. There is a place for cutting back certain foods, there is a place for cleanses, but in general, I feel that the best thing that we can do for our health is to improve our relationship to food, eat from a variety of food groups, find moderation (most of the time), and find the foods that truly inspire us. And then, for the extras, there are so many amazing healing foods that can be specific to ones individual health needs from both a Chinese Medicine and holistic western perspective. Same here. It just doesn’t seem sustainable to me. Longterm restriction can lead to no good. I feel very similar about the W30. A few years ago, it was more similar to how I ate, but i still ate snacks. then, i began eating more plant based, and now eat mostly vegan, but include yogurt, and will occasionally *try* some chicken at home (when i know the source). i like to snack, i like playing and making food and creating healthier versions of treats (i never liked sugary or fatty foods anyways- makes me feel sick). however, the last year at school, my emotional eating has skyrocketed. its healthy foods like 95% of the time, but not in good amounts, even with consistent exercise. i tell myself i’ll eat more consistently, but it doesnt seem to stick for long. thus, i’ve been toying with a W30 for a while now. it’ll be tough, and i normally dont do well with restriction, but i think i only will get better if i follow a plan. i’m writing all this (wow, i needed to vent, haha), because i agree that it’s not for everyone and there are definite faults. why can i eat a banana and an egg but not eat a banana egg “pancake”? if i’m not eating it to kill the sweets, and just because it’s contains healthy foods,, then heck i’m gonna. i think i’m going to do it and mostly follow the plan, i want to see if i can find benefits from the different sources of carbs and less (not no!) snacking, and focus on other stuff besides food 24/7! *If* I do it, it’ll be February-ish… we’ll see 😉 haha. I agree with a lot that you say. Whole 30 is presented as an “elimination diet,” which to my understanding, is not meant to be followed long-term. So I don’t understand why some people continue to eat that way or do multiple Whole 30s. The goal of an elimination diet is to figure out allergies and sensitivities. I also see it leading to yo-yo dieting, since it’s so restrictive and difficult to maintain. People often don’t just come off it and stick to generally healthy eating, they come off it and binge on sugar and pizza, complain about how they feel so awful when they’re not eating “clean,” and then begin a countdown to the next Whole 30 cycle. I’ve been a restrictive eater almost to the point of an eating disorder, and I see a lot of people making the same kinds of mistakes I made. I liked your line about having to do lots of pre-planning and analyzing. It’s so true. I completely agree with you! I can understand needing to do an elimination diet for health reasons…but like you said, they aren’t meant to be long term. They just aren’t sustainable or healthy! It’s almost like people get addicted to the strictness and restriction though. I think diets like this create a very slippery slope on the way to eating disorders. I am 10 days into this Whole30 thing – i decided to do it because a friend recommended it. She cited increased energy and solutions to other issues that were bothering me so I jumped on board. So far I’m not convinced. I am also concerned about the language used not the W30 website and the strictness of the program. The black and white thinking it basically akin to an eating disorder. The goal is perfection. That seems drastically unhealthy to me. It’s very ‘religious’ and seems shallow. I am usually a very ethical eater and I find the levels of meat involved to be disgusting. I asked a question on their form about snacking on some nuts between meals – I’m a grazer – and was told to snack on meat instead. This diet is very extreme. I am finding myself distancing from the friend who recommended it because she is such an advocate and had chastised me for eating a ‘compliant’ Nak’d bar already. The response to my question on their forum was… authoritarian to say the least. I’m not happy with it and thinking of packing it in, or at least modifying it to my own needs. I have also heard of people finishing the program and then finding themselves sensitive to foods that maybe they weren’t as sensitive to before… Does anyone know what the science behind that is? I don’t really want to trigger allergies that are either dormant or currently unnoticeable. Honestly my advice would be to your listen to your body and mind. If this diet doesn’t seem right for you and feels too restrictive, definitely end it. Don’t think of it at packing it in…think of it as making the right choice for your health. I recently completed the Whole30 program and I am now in the process of reintroduction. For me, I embarked on this journey for medical reasons. Since I was diagnosed with Rheumatoid Arthritis 13 years ago when I was 36, I have tried several different medications to ease the pain and swelling of my RA. I have always known that certain foods can trigger inflammation, but didn’t know which ones personally affected me. So, even though my medications seem to help with the progression of my disease, I wanted to see if any foods caused me discomfort. Whole30 seemed like a great “reset” for me. When it came time to reintroduce legumes, I added black beans to my salad. Well, I can honestly say that for the next 2 days my hands became inflamed and both knees started to hurt. I waited another 3 days and introduced corn tortillas. Voila! no pain and swelling. I will continue to reintroduce foods that I consider to be healthy such as brown rice, quinoa, etc. I am very happy with the outcome so far. I know that for many people Whole30 seems like a fad. But as many people have mentioned, every “body” is different. The best part about my journey (that can be attributed to healthier eating in general), is I no longer crave sugary foods and can make smarter choices going forward. I am so happy you found a dietary lifestyle that works for you and has helped ease your symptoms! I am a former anorexic (which never really goes away), and lately I’ve been reading more and more about Whole30 and must admit that just reading about it, triggers memories of measuring, planning, obsessing and controlling every single piece of food that I put in my mouth. I am glad that I have gotten to a point in my life where I basically don’t think and plan what I’ll eat for breakfast the next day and how many calories it’ll have. And I must admit that I can’t imagine my life without a gorgeous bowl of hummus, a bold glass of red wine and crispy, toasted pita bread…Even if only just for 30 days. That being said, I know that Whole30 is great for others so I don’t want to knock it…but I just fear that if I continue to read too much about it, I might just be tempted to try it and that, for me, could be detrimental. The lure of losing weight and changing my current body shape is compelling…But the rigidity of the plan seems something that could take me back to a place I don’t ever want to revisit. Thank you for your candid opinion here. And again, I don’t want to offend anyone who is happy with Whole 30. This is simply my own opinion. I can’t imagine my life without a lot of the foods that are off limits on whole 30 too! It just wouldn’t be as enjoyable! Like I said, it’s much too restrictive for me. But I agree, it works for some people. I just wanted to share why it’s NOT for me. To each their own as always! 🙂 Thanks for your opinion! I 100% agree with you on the front that a lot of people do not follow the program the right way and thus have a very hard time with it or don’t find the “magic” It Starts With Food talks about. That said, as someone who struggles with Crohns and had a family full of crohns and colitis the Whole30 and paleo diet is the one thing that has helped all of us heal in ways most doctors have not seen happen. I love using the Whole30 as a way to reset even though I know the majority of the foods I can’t eat regardless. I’ve been off of it for two days and I’m already feeling a difference in energy. I find the Whole30 a good way to regulate myself and keep my symptoms in check. All the things you talked about are so important to mention but I highly recommend reading at least sections of the book to understand how the Whole30 counteracts GI and digestive issues. Ooooh I’ll have to check out your post! Omg yes! Whole 30 somewhat drives me nuts! I find it a super rigid diet and it cuts out a few healthy foods and makes it impractical to follow- unless you want to be cranky.. TOTALLY agree. Super rigid and restrictive!! I completely agree with you! I tried Paleo earlier this year & stuck it out for 2 months. It almost destroyed my digestive system. Gave me a good reason to go vegetarian, tbh, which I had been thinking about for years. I stopped eating meat to give myself a break from the 2-month overload and then never went back. Thanks girl! Glad you agree! I agree with you SO much. I too am a non-red meat eater and find the prospect of Whole 30 limiting. For me I’m also a believer in everything in moderation with a focus on whole foods and food with ingredients I can pronounce. I don’t “need” a reset because I stay consistent overall in what I eat. It’s definitely a trendy thing to do at the moment, though. Thanks girl! Glad you agree! Moderation is so key. I really enjoyed your article and believe that you are spot-on completely. My blog is about clean eating and a whole foods lifestyle and I do not believe that fencing anyone into a limited food group can be helpful in any way. The reason is is 30days is because it is so stressful nobody could make it without a view of a stopping point. Whole foods as in foods as close to their natural state is healthy and all such foods should be explored if possible. And yes, we do need our daily snacks, which I believe I shall go and enjoy one right now. Thank you, Chef! I am glad you read the post and found it agreeable! Kaila, I’ll be pinning and tweeting this wonderful piece of common sense. Diet trends will continue to come and go as they have for many decades, and I will continue to not try any of them! I have friends who try the latest diet craze, lose weight, gain it back, try the next diet craze … in an endless cycle. I, on the other hand, in spite of being a comfort food blogger who bakes a lot, stay the same weight year in and year out just using common sense. Hey, maybe I could get rich with The Delightful Repast Common Sense Diet! Haha so true! Throwing a dinner party is such a struggle in this day and age! I think putting rules on food is where it all falls apart! Thank you Mandi! Glad you agree!! Thanks Farrah!! Glad you agree. I am the same way. Too much stress in my life already to worry about any of this nonsense! Thanks Candy!! Glad you agree!! Thanks so much for sharing your special post with us at Full Plate Thursday. Have a great weekend and come back to see us real soon! I believe many use primal, paleo and keto to justify an eating disorder. The more rigid and extreme the ‘cleaner’ they feel about their food. I don’t find a small bowl of greens with a dash of turkey and chicken on top to be sustainable over the long haul. The more I study eating disorders, the greater the restriction the harder the recovery will be. Living months in the over-restriction mode is followed by periods of binge eating, more dieting and/or trying to get back on an even keel. I’ll never do one of these again. It was a huge mistake and useless as far as creating a system that works for me. It’s become a glorified food religion, going to church and kissing the ‘ring’ leader, hanging on their every word for direction. No, it’s not for me. I’m happy to really be free of it. I am so glad you’ve come to the conclusion that those restrictive diets are not the right choice for you and your health!